After a carrier in two multinational companies (Dupont de Nemours then STMicroelectronics), Nathalie Boulanger joined Dev’Up (formerly ARITT Centre) in 2006 as Competitive Intelligence and Communications Manager. 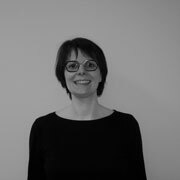 Since 2011, as Project Manager for the Regional Innovation Strategy for Smart Specialisation (RIS3) of the Centre-Val de Loire, she has led a number of multi-partner projects, in order to provide strategic decision-aid to public authorities and thus contribute actively to draft and implement the RIS3. Henceforth, as responsible for the European Policies, she manage the Enterprise Europe Network (EEN) team. Her mission is to help the actors of the Centre-Val de Loire region to seize the opportunities offered by European programmes She also leads an Interreg Europe projects dedicated to the involvement of the stakeholders in the RIS3 (Beyond EDP), and she manages, as participant, two other Interreg Europe Projects (MARIE and ESSPO). Nathalie holds a PHD in Information management sciences from the Marseille University (France).